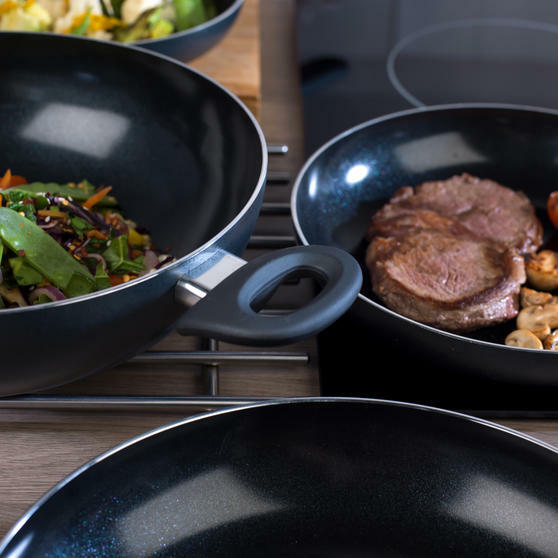 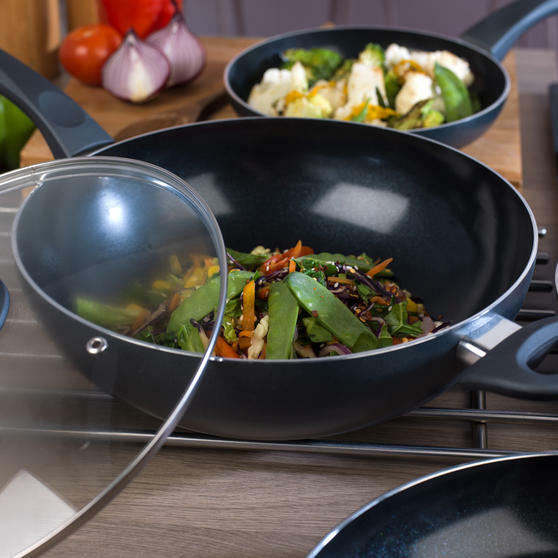 Ideal as a starter kit or to upgrade to your current cookware, this frying pan and wok set from Russell Hobbs is sure to impress. 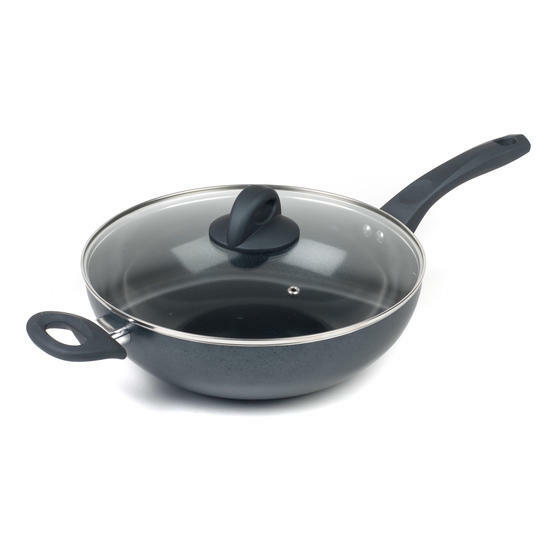 The set includes 20, 24 and 28 cm frying pans, plus a 28 cm wok with a matching glass lid. 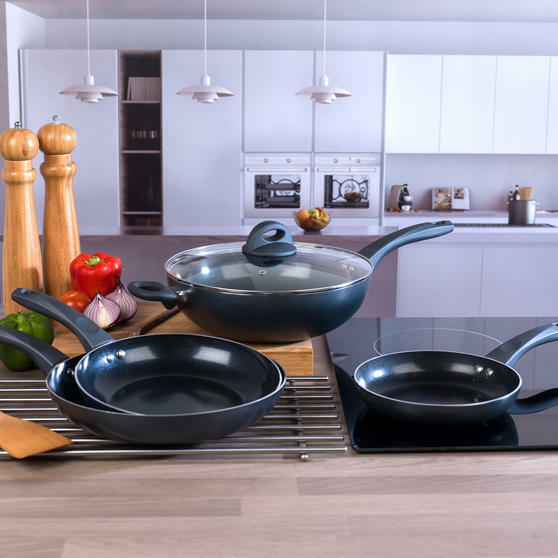 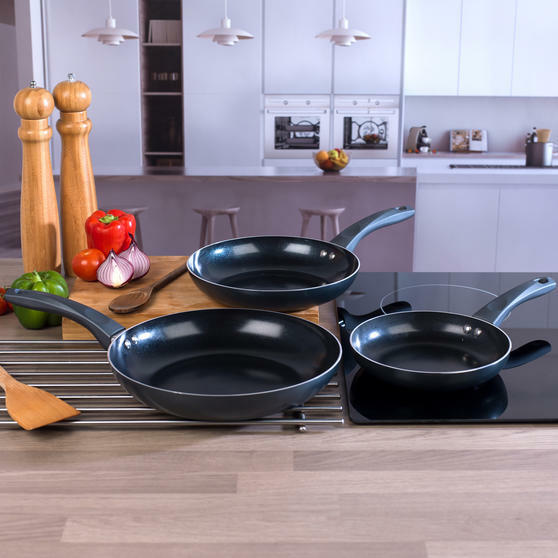 All four pans have ceramic non-stick interior coating, making for healthier cooking as you require less oil and for easier cleaning when you have finished. 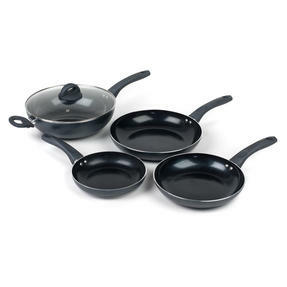 Crafted from durable pressed aluminium, the pans in this set also feature Bakelite handles with safe silicone coating. Perfect for professional chefs and for novices in the kitchen, this frying pan and wok set from Russell Hobbs is sure to impress. 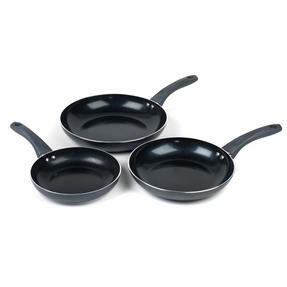 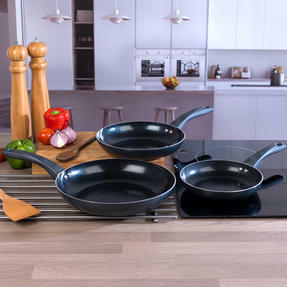 This impressive set includes three different sized frying pans and a wok with matching lid for all your cooking needs. 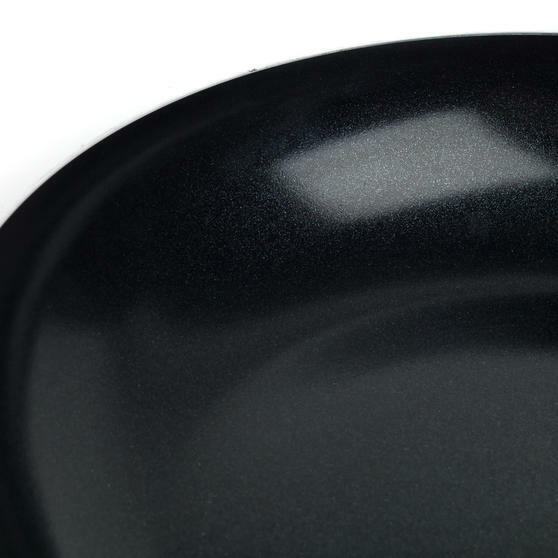 All of the pans in this set have a sleek black ceramic interior coating that is non-stick and easy to clean, making washing up simple. 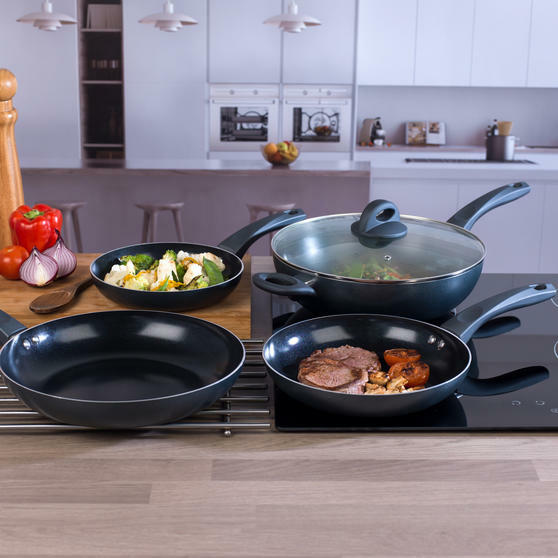 Crafted from durable, high quality pressed aluminium, the pans in this set also feature Bakelite handles with a safe silicone coating. Finished to a high standard by Russell Hobbs, these pans are suitable for use on all types of hob, including induction.